Get to know the lesser-known neighbour of the Lofoten – the Vesterålen islands! Follow the queen’s path through their magnificient nature, both calm and rough, marvel at the views from the peak of Mount Vetten, meet the Sami and of course also visit the nearby Lofoten islands. Arrival by flight to Harstad (own arrangement). From there you continue to Vesterålen, an archipelago just north of the Arctic Circle. 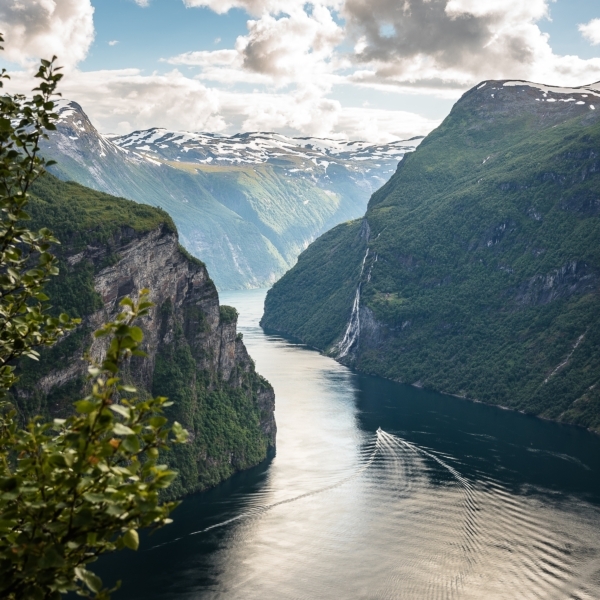 This is a place of contrasts, where the landscapes span from calm beaches, fishing villages and farmlands to rugged, alpine mountains, dramatic fjords and wilderness. Overnight in Sortland, where you will spend the next four nights. Hike up Mount Vetten, a 467 m high peak, which in good weather offers a view of the ocean and scenic islands in the west, and the wall of the Lofoten islands in the south. The hike leads up and down the same path, but for keen hikers it is also possible to make a longer tour and include a second peak. In the morning you have opportunity to visit a small Sami farm (additional charge) and meet the reindeer. Afterwards the guests will be invited into the lavvo (Sami tent) to learn more about the reindeers, the Sami and their culture and history. After lunch we suggest a pleasant and relaxing walk along the coast to recharge after the summit tour yesterday. For groups interested in maritime history, we recommend a visit to the Hurtigruten Museum in Stokmarknes (additional charge) telling the story of how the postal ships influenced Northern Norway. It is time for one of the highlights of your tour: Dronningruta, a scenic route between Nyksund, a former fishing village, and Stø, an active fishing village. A marked trail will take you up and down a series of smaller mountains along the coastline, offering breath-taking views along the way. The name “Dronningruta”, meaning “the Queen’s Route” in Norwegian, came about after Queen Sonja of Norway trekked the route in 1994 and greatly enjoyed it. For groups who prefer a less advanced hike, we will be happy to give you some other suitable suggestions. This day will give you an opportunity to explore the better-known neighbour of Vesterålen – the Lofoten Islands. Enjoy the dramatic natural scenery, learn more about the history and culture of the islands from your guide (additional charge), and stop for photos in some of the many picturesque fishing villages. Overnight in Harstad. Today it is time to leave the North. A transfer will take you to Harstad Airport, from where you start your homeward journey.